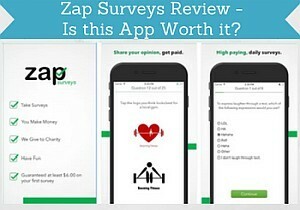 Zap Surveys Review – Is this App Worth it? Zap Surveys is a survey app. So unlike most of the other survey opportunities I review on this site, it does not as such have a website, but only an app. Let me reveal right away that I am not very excited about this app. That does however not mean that it might not be the right way for you to do surveys. In this Zap Surveys review, I will share all the details, my experiences about the app, and what I like and dislike about it, so it will be easy for you to see, if it is an app you want to download. What is Zap Surveys app and what does it offer? Zap Survey is an app for Android and iOS. It is owned by the company “Apps that pay” that also owns other survey apps and survey sites. Paid surveys is what Zap Surveys app is all about, and it is the way you can make the most money. The surveys are offered through two different third party portals – Peanut Labs & SaySo For Good. If you are using survey sites already, you have probably seen these names before as these portals are used by many other surveys sites like for example PrizeRebel and ClixSense. These sites do however offer a number of other earning methods as well, and not having more opportunities is in my opinion the biggest weakness of Zap Surveys. . These two portals are the only ways to take surveys through Zap Surveys, which can give very limited options in some countries. Be aware that the first time you want to take a survey through one of these portals, you will be asked to fill out your basic demographic info again (age, where you live, gender, income etc.) and you have to do it for both portals. It is annoying, but at least it is only the first time you are using them, you have to fill it out. After that, it will be remembered by the app. When you first join Zap Surveys, you get a starter survey to get you going. This is a very short and easy survey. It is 8 easy questions, and it only takes a few minutes to do. To do this introductory survey, you get $6.25. That is a very nice start. But be aware that it will NOT be this easy to earn with the surveys you will have access to after that. This is just a joining survey with extra high reward and very quick and easy questions to get your started. So do not expect that you will be able to continue making money this fast and easily through the app. The sharing earning option on Zap Surveys. You can earn a little bonus by sharing about Zap Surveys on Facebook or Twitter. In the app, you choose “more” in the menu line and then you can select “share”. It will then show you the screen, you can see on the picture here. By clicking Facebook or Twitter, you will be taken to the platform, where you share a link to Zap Surveys to promote them. This will give you $0.50 for each of the platforms you share on. Be aware that you will only get this bonus once, so you will not earn more, if you for example share several times on Facebook. Personally, I do not really like promoting like this on my personal profile, but that is of course a matter of personal preferences. And if you do not mind, it can be an easy extra 50 cents to make. When you go to the option of sharing, it can be a bit confusing, as you can also see the option to like Zap Surveys on Facebook and rate the app. At first, I thought that I would also get paid to do this – that is not the case. You will only get paid, if you share a link about Zap Surveys on your personal profile. 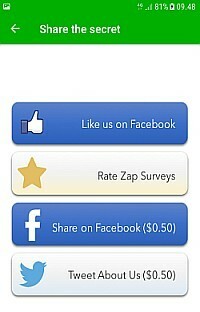 Also, if you try to like Zap Surveys on Facebook, you will be taken to the page of “Apps that Pay”. This is the company behind Zap Surveys, so you have ended up the right place even though it is a bit confusing being taken to a page with another name than expected. You can earn a very small bonus by referring people to the Zap Surveys app. When you are logged in, you can find a referral code in your profile. If you send this code to somebody, and they write this code when they join, you will get $0.15. A very small bonus, and almost not worth it in my opinion. As you can see there are a few ways to earn on Zap Surveys, but the only one where you can earn long term is paid surveys. Zap Surveys is free to download and free to use. You can get a joining bonus by using a referral code when joining. 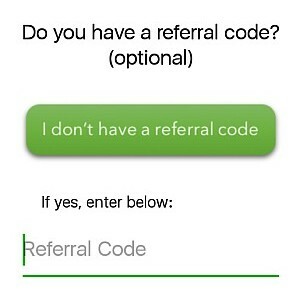 I shortly mentioned above that as a member of Zap Surveys, you will get a referral code, you can share with people. The bonus you as a referrer gets is so small that it is almost not worth it. As the person joining, using a referral code can however give a nice extra starting bonus. If you use a referral code when joining, you will get $0.75 bonus. So by using this, and doing the initial short welcome survey, you will have earned $7 within a few minutes. So if you want to join, this can be a great way to start. It can still take a while to get to the payout threshold, which you can read more about below, but it is still great to get a fast start. If you want this joining bonus, you can use my referral code (you will get $0.75 by using it, and I will get a $0.15 bonus for you using it). If you are not using a referral code when joining, you will NOT get the extra 75 cents bonus, but you will still get the easy starter survey. You earn cash in dollars on Zap Surveys app. Once you have reach the payout threshold, you will be able to cash out through PayPal or Amazon gift cards. The payout threshold is $25, so you have to make this, before you can get the money out. In my opinion, this is a bit too high, and I prefer survey sites or apps that have a lower payout threshold. It is especially seems high because Zap Surveys app does not offer that many ways to earn, so in some countries, it can take a long time to get to the threshold even with the great joining bonuses. If you use the portal SaySo For Good, you can alternatively choose to use your earnings to donate a meal to starving children. Zap Surveys also says that it will donate 10% of whatever you earn to charity. I think this is really nice and a great idea from a survey company. I was however not able to find more information about which charity it donates to, so I cannot tell more about it than this. Zap Surveys App will be able to make you a little extra money, but do not expect more than that. The portals that it offers surveys through has some opportunities, but it very much depends on the country you live in. Where I live, they do not give a lot of options, and therefore the app is not great for me. In general, it does not offer very many options. To do surveys on the go, I instead prefer using some of the big survey sites that have apps as they have many more options, and therefore also better earning opportunities. As long as you have an Android or iOS phone, you can download and join Zap Surveys app. Just be aware that not all countries will have very many opportunities. Zap Surveys app has some potential, but I am not impressed by it. But let’s sum up the pros and cons to get a better overview. As you can see, the app has both some good and not so good sides. Personally, I prefer taking surveys through other sites, as there are many better survey sites that offer more opportunities and lower payout threshold. As Zap Surveys is so easy to use, it can however be worth considering joining as a little extra survey option. How to join Zap Surveys? If you want to join Zap Surveys, you just simply go to your app store on your phone and search for Zap Surveys and download it. When you sign up, you can do it either with your Facebook account or with an email. If you decide to join, remember that you can get a bonus by using a referral code, as I showed earlier in this review. If you have any questions about Zap Surveys app, any comments, or any experiences with it yourself you would like to share, feel free to leave a comment below. Zap Surveys app is really easy to use. It has a great joining bonus, but unfortunately the survey opportunities are not as great as on many survey sites, so it can take you a long time to reach the high payout threshold. HELLO, IS THIS AVAILABLE IN PHILIPPINES? I would honestly not recommend Zap Surveys. If you live in the Philippines, there are quite a lot of other better options in my opinion. You can check out a list of the best sites in PH here. I am from India. So will the dollars be transferred to indian rupees? Once you withdraw to PayPal, you get the money in the currency your PayPal account is in, or they get exchanged into your local currency, when you transfer them from PayPal into your bank account. I would however not count an earning much on Zap Surveys. If you are from India, you can for example instead check out the list of the best survey opportunities in India. That will give you a lot better chances of getting anything out of surveys than Zap Surveys will in my opinion. Bro, Mikael, I have 3 times received a cashout from zap survey and successfully. But this time it takes very long. It has been 4 weeks and no payment. What do you think about it? I have heard a lot of complaints from people who have had problems getting their money from Zap Surveys. That is also why it is not really one of the survey options I recommend, as there are many sites that are a lot more stable in my experience. I do not think there is much else to do than to try keep reaching out to their support and hope they will get back to you. And then maybe consider other sites in the future. But hope you will get your money soon. And feel free to keep me updated about how it goes. I am from India. Some people say zap survey is a fraud. And their app is not showing on Google playstore. Is this app trustable or not? I am reaching near 25 dollars but I am still worried after payout they will provide or not. I am so worried. Has zap survey become a fraud? I have heard from many people they have problems getting their money from Zap Surveys. It is also not an app I am using any more myself, as it did not have very good opportunities in my opinion. I cannot say if it is a fraud or not. Can just see it is not in the Google Playstore more and have heard a lot of bad experiences with it. You can maybe try to send their support a message and ask some kind of question. Often how good an answer a support tells a lot about a site. But I really hope you will get your money. Sorry I cannot give any more specific information or help you. But feel free to keep me updated about how it goes. is there a website to this since it is not in Google play store? And feel free to keep me updated. Would be great to know if you get an answer, as it seems many people are having problems with this app. I would in general say that Zap Surveys is not a very good place to find surveys. 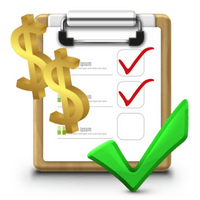 You can instead check out the list of the top 10 paying survey sites. Many of these are also available in Ghana, so that would be a good place to start. And if you have any more questions or need any help just ask. Not sure what you mean with this comment? My website is not associated with Zap Surveys, but is an independent review site, so if it is a comment directly to Zap Surveys’ support, they will not see it here. But if it is because you want to share your experiences with Zap Surveys, you are more than welcome to share it here, so others can see what they are. I would suggest you to just delete the Zap Surveys app. If you want to do more than that and make sure they delete all your info, you can try to contact the official Zap Surveys support. Sorry to hear this Tino. I have unfortunately heard similar stories from quite a few people. This is one of the reasons it is not a survey app I recommend. My best suggestion is to contact their support – hopefully they will be able to help you out. And then in the future consider finding other survey options, as it seems a lot of people are having problems with Zap Surveys. Feel free to keep me updated about how it goes – would be good to know what happens, and I really hope you will get your money. That is definitely misleading and very poor service. I have heard many people having problems with getting their money in time on Zap Surveys, and that is one of the reasons it is not one of my top recommended survey options. Really hope you will get your money soon Natalie. I hope not Natalie. Sometimes platforms are just slow to pay out, so let’s hope that is the case here, so you will get your money soon. Fingers crossed. But once you hopefully get your money, I would suggest you to look for other survey options than Zap no matter what. There are so many survey platforms that gives better opportunities, and where you will for sure be paid on time. Hello. I have cashed out my $25 to PayPal but have been waiting and am still waiting for payment ???? Sorry to hear that Natalie. How long have you been waiting? As you can see on the other comments, you are not the only one that have issues about getting your reward. Hope you will get it soon. Feel free to keep us updated about how it goes. It might take a bit longer – some survey platforms take a while to pay out while others pay out within days. I would wait around another week or so, and if you have not heard from them by then, I would suggest you contact Zap surveys support. And feel free to let us know what happens – would be great to know when you get your money. My account is working, but I am not getting any surveys. Why? hoping for a quick answer. The amount of surveys that are available to you depends a lot on the country you live in. So maybe it is because Zap Surveys does not have a lot of opportunities in your country. Which country do you live in? Then I can give you a few recommendations for the best survey sites for you. You can also check out the list of the best sites for specific countries to find out which sites gives the most opportunities in your country. I would suggest you to then definitely check out ClixSense. Other sites that could work well for you are Timebucks, Superpay.me, and PrizeRebel. You are welcome Ravindra. Feel free to keep me updated about how it goes and let me know, if you have any more questions. It seems from the feedback I get from people that it can take some patience to get your money from Zap Surveys. You can try to contact their support. But it is in general not one of the sites I really recommend, but the two options you have is to wait and be patient or try to contact their support. Hope this helps and feel free to keep me updated about how it goes. It’s been two month now, still getting stuck with $15 dollar, very less surveys in India. How can we help and improve towards our side ? There is unfortunately not much you can do, if you do not have a lot of access to surveys on Zap Surveys. Zap Surveys is in general not a platform that gives very good opportunities. You just have to keep trying and hope you will get more, or find survey opportunities that are better – I have made a list of the best survey sites for India that you can check out, if you want to look into other options. Sorry for all the troubles, the payment was actually sent to your Zap Surveys account last February 23. But no worries, I just fixed it and sent it to your PayPal account! You should be able to receive it later today! Again, I do apologize for the inconvenience. Have a great day ahead! Thanks for the update Dave. Good to hear that the support finally answered you. Of course not great that you still have not received your money. Hope they will arrive very soon. Let us know when/if you receive them. Sorry to hear this Swati. Some sites do not process the payments very fast. I have had payments to PayPal that has taken several weeks to get to my account, and on others I get it within a few hours. So hopefully it is just because Zap Surveys are slow, so you will get your money soon. But from all the comments on this review and from my own experience with it, it is no matter what not a very good survey option. Feel free to keep us updated about how it goes, and if you get your money. Sounds like there might be a glitch in the app. I have recently also had glitches in the app, and in general, Zap surveys is not a survey option I think is very good, and there are quite a lot of better sites that also have peanut lab (for example PrizeRebel). But to fix the issue in your Zap account, I would suggest you to contact the offical support of Zap surveys – maybe they will be able to help you out. I cashout out my first payment today but I still didn’t recieve it yet? ?‍♂️ Can I have some explanation and yes I do have a PayPal account the money was sent there but I didn’t recieve it. Great to hear you reached the payout threshold. Often it takes a few days for the money to be in your PayPal acccount. So I would give it another 3-4 days, and if you still have not received them, try to contact Zap surveys support. How long have you waited. Is it true you get the money to your PayPal account? I have waited a long time to earn money on Zap Surveys and it goes very slow. That is why it is an app I do not really recommend, as it in my opinion does not have very good opportunities. As you can see from some of the other comments here on this site, there are also several people explaining that they have problems even getting their money. It is true that you can get the money into your PayPal account. But if you like that option, there are many survey opportunities that are better. do you have any way to contact ZAP SURVEYS. AS THEY ARE NOT REPLYING ME ON CHAT and email AND ALSO BLOCKED ME ON FACEBOOK.I HAVE $200 pending with them. OR do you have any survey sites where tapresearch is available and have good reviews. I do unfortunately not have any other way to contact Zap Surveys. In general it seems like they are very hard to get a hold of. I have unfortunately heard this from many people. I know many sites that are better than Zap Surveys. You can check out my list of the top paying survey sites – several of these offer tapresearch surveys. For example one of my top recommendations PrizeRebel offers this. Hope this helps, and also hope that you will manage to get your money from Zap Surveys at some point. I’m having the same issue. I attempted to cash out my first payment to my Paypal account and noticed that the email address they had for my paypal account was NOT my email. I changed it to my correct email and attempted to cashout but it appeared to ignor my instructions and send end the erroneous account. I then attempted to reset my password to track what was going on but all it did then is open an entirely new account under my email address. I’m wondering if the entire thing is not a big scam. Im filing a complaint with Apple and Paypal today. Zap Surveys does not appear to have a way to easily contact anyone to process complaints or answer questions. Sorry to hear about that. It seems like many people have problems with Zap surveys. Will make sure to write this into my review soon to warn others. Thank you very much for stopping by and sharing your experience so others can hear what to be aware of, when it comes to Zap Surveys. Did you ever get your payment? Ive been waiting a week now. Mine was supposed to go to Paypal account as well. Sorry to hear that Dave. Seems like a lot of people are having problems with Zap Surveys. Hope you will get your money. Do not waste your time on this app. When you go to cash out they will tell you that you have fraudulent activity on your account and will not be paid out but cannot provide you with details. So many bad reviews on this app. Thanks for your comment Brydie. Sorry to hear about your experience but thanks for sharing your warning. I am also not a big fan of Zap Surveys, but luckily have not lost money there. There are many survey options that are legit and that give better opportunities, so I can only recommend trying some of those instead. The problem is zap surveys took out close to $12 out of my account,and there’s no where to contact them. I would like to know why they took that out of my account and how do I get them to put that back into my account? That does not sound good – you mean they took money out of your Zap account and not your PayPal right? Anyways, you definitely need an explanation for that as it seems strange. Zap Surveys is owned by a company called Apps That Pay. If you go to that website Appsthatpay.co (the ending is .co NOT .com), you can find a way to contact them. If you scroll all the way to the bottom of the site, there is a link to a contact form in the footer. Try to write them and ask what is going on. Feel free to keep me updated how it goes, as I would love to hear what is going on, and include potential bad or good experiences in my review. Thanks for the review of Zap Surveys. I have used some of these sites before and Survey Savvy still keep sending me surveys. I don’t like how the payouts are very low for Zap Surveys. I live in Malaysia, is that geo-restricted with this company? If I used my VPN would I be able to “trick” them into thinking I’m in another country? I quite like the idea of a survey site in an app. I’m out quite a lot so I could work away on my android phone. Zap surveys is only an app so I it will probably automatically register which country you use your phone in. I do not know if you can use a vpn on your phone to hide that. Juts be aware that survey companies of course do not want people to hide their location with a VPN, so many of them has high security around this and will block you, if you try to use one. But you can sign up for Zap Surveys no matter where you live. I do not think you will have many opportunities in Malaysia through this app though. But there are several other survey sites with apps, and in my opinion many of them are a lot better as well.